Are You Thinking About Buying Your Kids a Hoverboard? | Craven, Hoover, & Blazek P.C. Last holiday season, the shining star among gift-buying selections for both kids and adults was the two-wheeled hoverboard. Since then, there have been numerous reports of these devices suddenly erupting and catching fire in peoples’ homes. As a result, many lower-end models have been mass-recalled. And even with the fire safety concerns surrounding these toys, they are still somehow among the “must-have” toys of 2016. So if you are a parent who’s thinking about getting a hoverboard for your kids, it is important to consider these safety concerns first. Continue reading to learn what is making certain hoverboards spontaneously catch fire, and what you need to know before making a final purchase for your loved ones. The culprit behind why some hoverboard models have caught fire is their batteries. The lithium-ion batteries are generally safe, and used most often for laptops and cellphones. However, lithium-ion batteries are highly-flammable. So in larger gadgets that get bumped around or prone to overheating, like hoverboards, they become a big fire hazard. In fact, they are not even allowed on airplanes for this very reason. If you haven’t yet purchased a hoverboard, you are able to educate yourself further on whether or not you want to take the risk. But if you already own a hoverboard, it is important to look for signs that might suggest trouble. If you notice any of these signs, you should take the hoverboard away from your kids, and suspend use immediately. 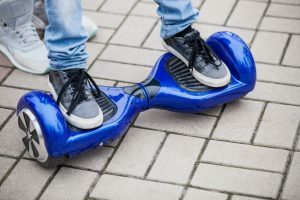 If your kid’s hoverboard has been dropped or dinged up a few times, it may have jeopardized the stability of the lithium-ion batteries. This could mean they are more prone to exploding. Do not let children jump on hoverboards, or use them in an aggressive manner. This includes bumping into things while riding it, doing tricks, falling down repeatedly, getting it wet, and letting it drop on the floor. If the pedals have visible damage or scuffing, it should be discarded immediately. If you have been charging the hoverboard for a long time, be sure to let it cool down for at least one hour before letting anyone use it. This prevents the possibility of overheating the batteries. And you should also discard a hoverboard if you have charged the battery overnight before. Some hoverboards come with safer battery packs certified by Underwriters Laboratories (UL). If you have purchased a hoverboard that does not have a UL certification emblem for safety, you should discard it immediately. The UL emblem ensures the device has been tested and inspected for safety by an independent factory. If you have purchased a hoverboard from any of the below manufacturers, the Consumers Product Safety Commission (CPSC) says you should get a full refund. 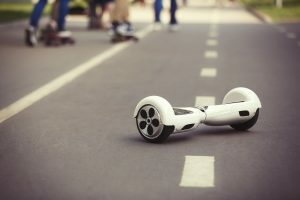 If you or someone you love has been injured by a hoverboard, contact an experienced personal injury law firm to learn about filing a product liability claim. Call Craven, Hoover, and Blazek P.C. at 317-881-2700 to file a product liability claim in Indianapolis, Indiana. Seasoned personal injury attorneys, Daniel Craven, Ralph Hoover, and Keith Blazek are dedicated to recovering the full and fair compensation their clients deserve after being injured by a defective product. We offer free initial consultations and never collect lawyer fees unless we prevail for you. 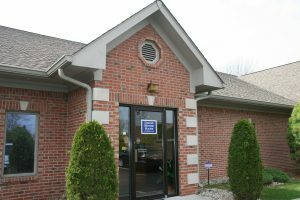 Call 317-881-2700 to schedule an appointment with an Indianapolis personal injury attorney, today. This entry was posted in product liability and tagged file a product liability claim, hover board recall, hoverboard injuries, hoverboard lawsuit, hoverboard recalls, Personal Injury Attorneys. Bookmark the permalink.